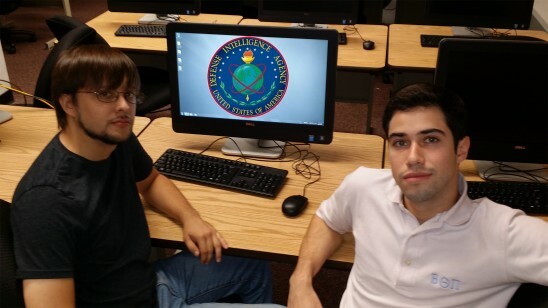 Kevin Sopko, left and Rodolfo Padilla, political science majors, are building student interest in UCF’s new Community Center of Academic Excellence. They hope to offer students the opportunity to participate in events such as a national security simulation held annually at West Point. UCF’s status as one of a only a few universities in the country to offer a Ph.D. program in security studies and the university’s strong connections to intelligence and national security communities contributed to its selection as a center, Schafer said.